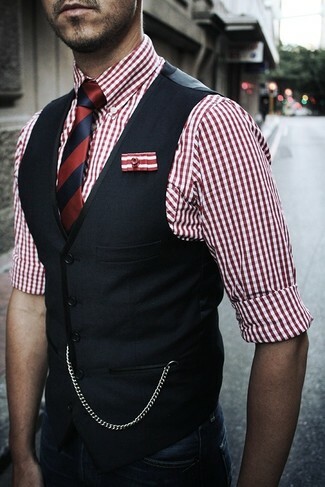 This combo of a Kiton large gingham dress shirt red and blue chinos is so easy to put together in no time, helping you look awesome and ready for anything without spending too much time searching through your closet. To bring out the fun side of you, complete your ensemble with tan suede boat shoes. For a smart casual outfit, wear a Kiton large gingham dress shirt red with burgundy corduroy jeans — these items play nicely together. 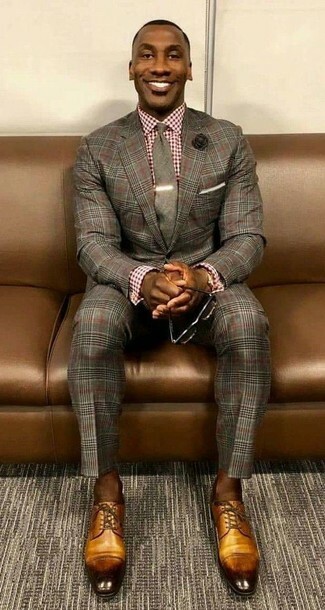 When it comes to shoes, this ensemble is complemented well with dark brown leather desert boots. 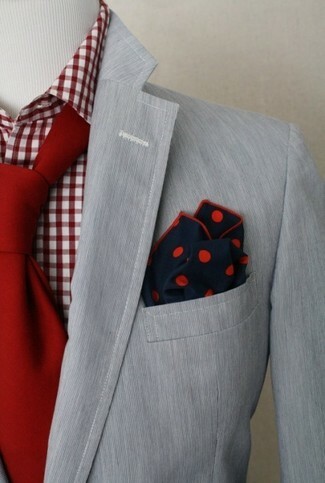 For a nothing less than incredibly stylish outfit, wear a white and red gingham dress shirt and light blue dress pants. Break up your look with more casual shoes, like this pair of brown leather double monks. 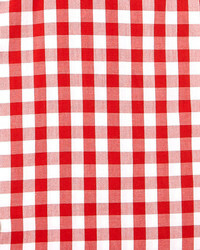 For a casually elegant look, rock a Kiton large gingham dress shirt red from Neiman Marcus with red chinos — these items go nicely together. 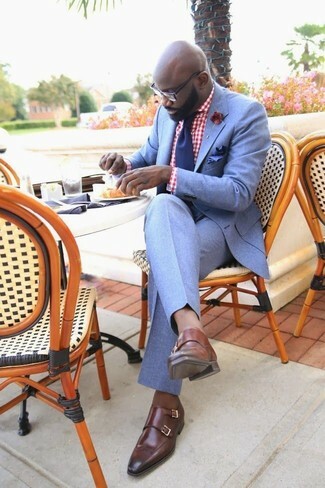 For a nothing less than incredibly stylish outfit, marry a Kiton large gingham dress shirt red from Neiman Marcus with a grey plaid suit. Tan leather derby shoes will add a sportier vibe to your ensemble. 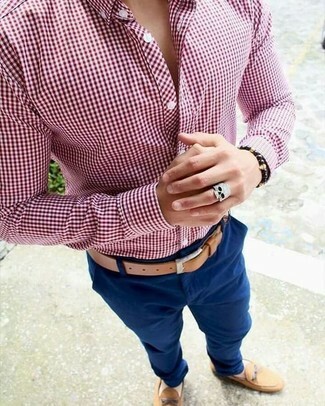 This combination of a Kiton large gingham dress shirt red and white chinos is very easy to pull together in no time, helping you look seriously stylish and ready for anything without spending too much time searching through your closet. Rock a pair of tobacco suede tassel loafers to show your sartorial savvy. 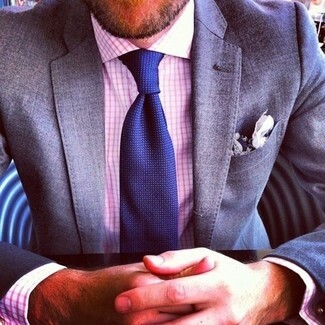 You'll be amazed at how easy it is to get dressed like this. 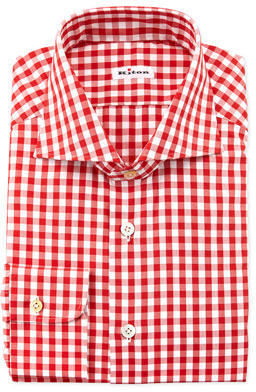 Just a Kiton large gingham dress shirt red matched with navy jeans. 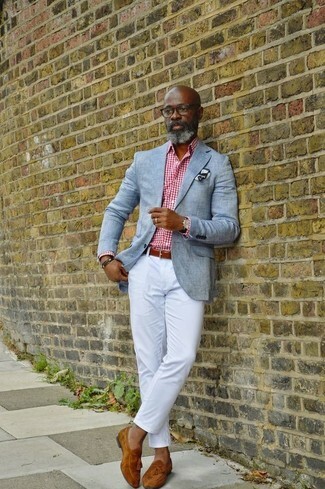 This combo of a Kiton large gingham dress shirt red and a grey blazer is very easy to put together in next to no time, helping you look seriously stylish and ready for anything without spending a ton of time combing through your closet. For a casually elegant look, wear a Kiton large gingham dress shirt red with a grey blazer — these pieces play really well together.